This fragment of an opaline silica sponge spicule is from an oil sample collected from a 8400kVA transformer. This transformer was reportedly gas blanketed and sealed. 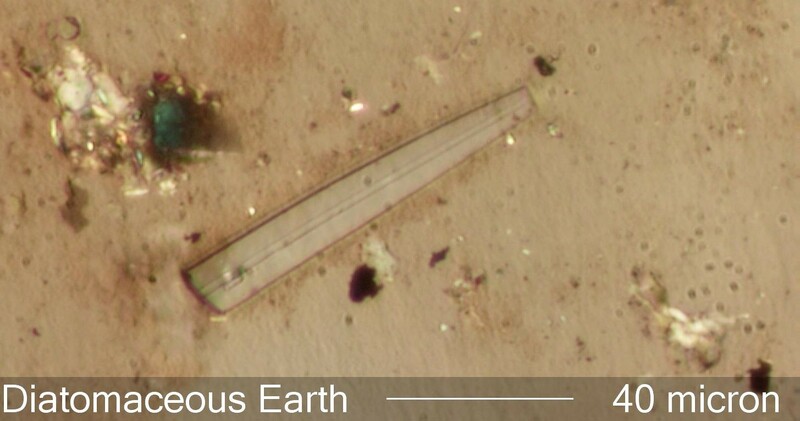 The presence of this sponge spicule and diatoms would suggest that they are from a diatomaceous earth filter used to clean the oil. The low refractive index, less than 1.49, its colorless transparence, smooth-tapered shape, and the hollow core are characteristic of this type of sponge spicule. Pennak, Robert W., FRESH-WATER INVERTEBRATES OF THE UNITED STATES, 2nd Ed., Wiley Interscience, pp. 80-98, 1978. Wilding, L.P. and L. R. Drees, "Distribution and implications of sponge spicules in surficial deposits in Ohio", THE OHIO JOURNAL OF SCIENCE, vol. 68, no. 2, pp. 92-99, 1968. Kratz, T.K., K.E. Webster, C.J. Bowser, J.J. Magnuson, and B.J. Benson, "The influence of landscape position on lakes in northern Wisconsin", FRESHWATER BIOLOGY, vol. 37, pp209-217, 1997.